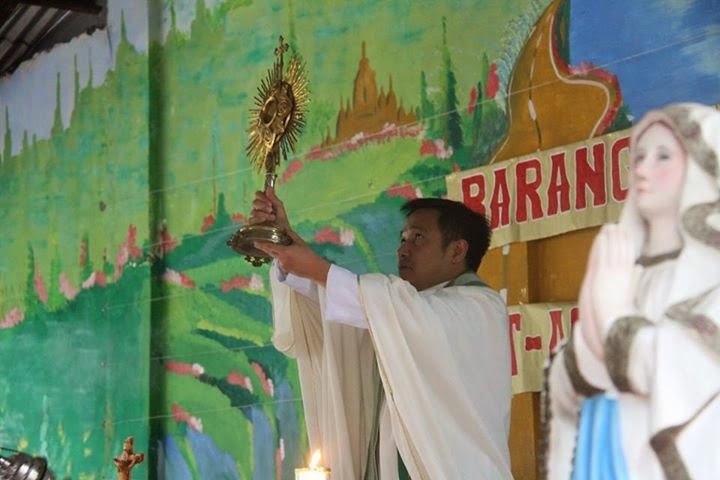 WE WANT MORE PINOY SAINTS! Almost 500 years of Catholicism and we only have two saints? 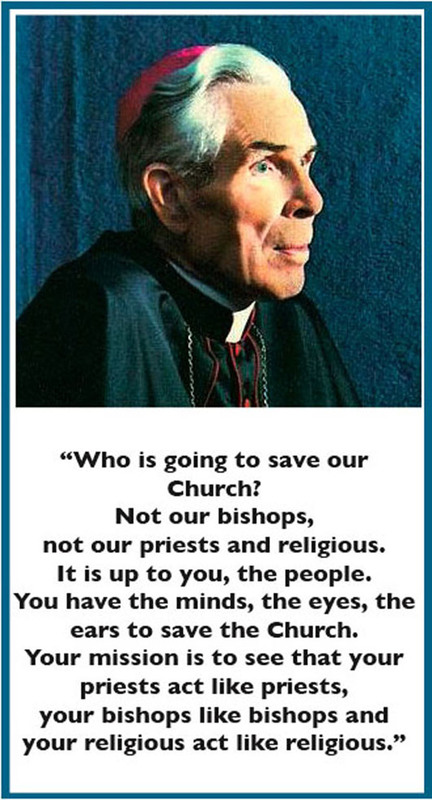 This scarcity of Pinoy saints is not because we do not have enough holy people. It is because our archive handling, an important part of the saint factory, is B.S. 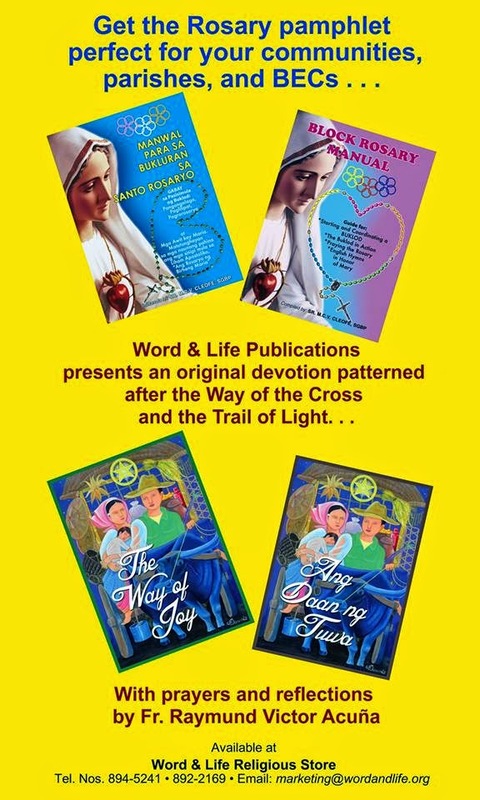 Take for example the duplicity of Mother Francisca del Espiritu Santo and Mother Ignacia del Espiritu Santo. To me, they are one and the same person. The archives are full of accounts of Mother Francisca, while Mother Ignacia's grave could not even be found! 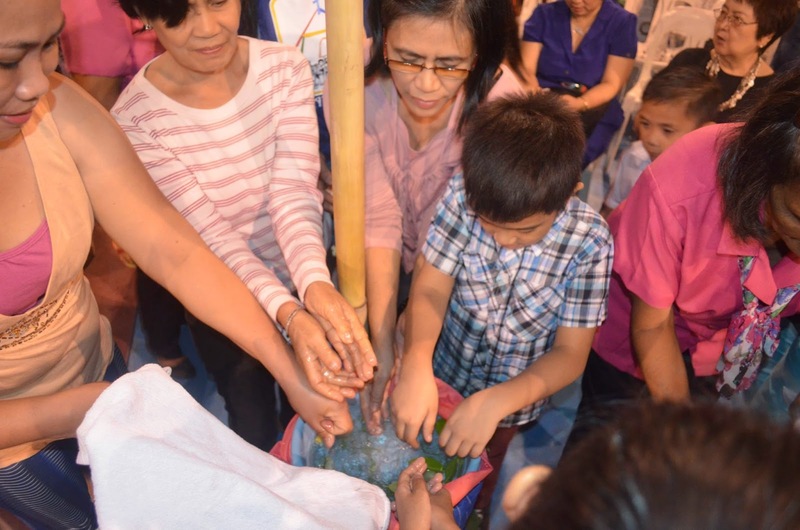 If we want more Pinoy Saints, we need to PRAY MORE. 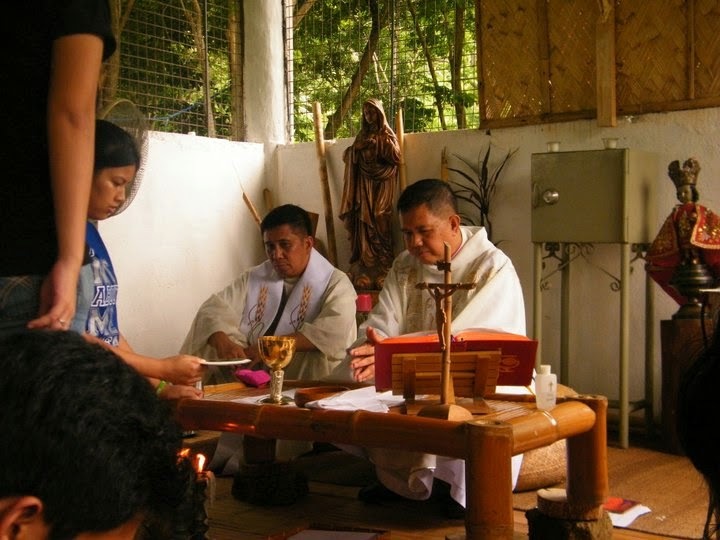 New Foundation of the Franciscans of the Immaculate in the Philippines? 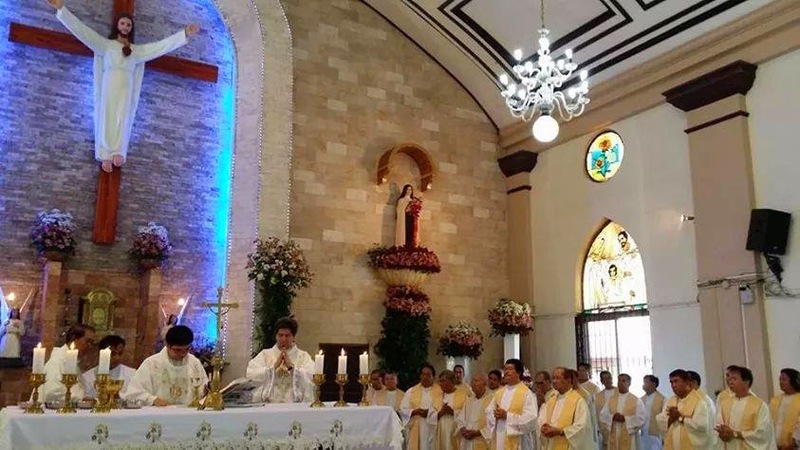 There seems to be an attempt, for the reincorporation of the Order of the Franciscans of the Immaculate in a new guise, but with its old charism in the Archdiocese of Lipa. 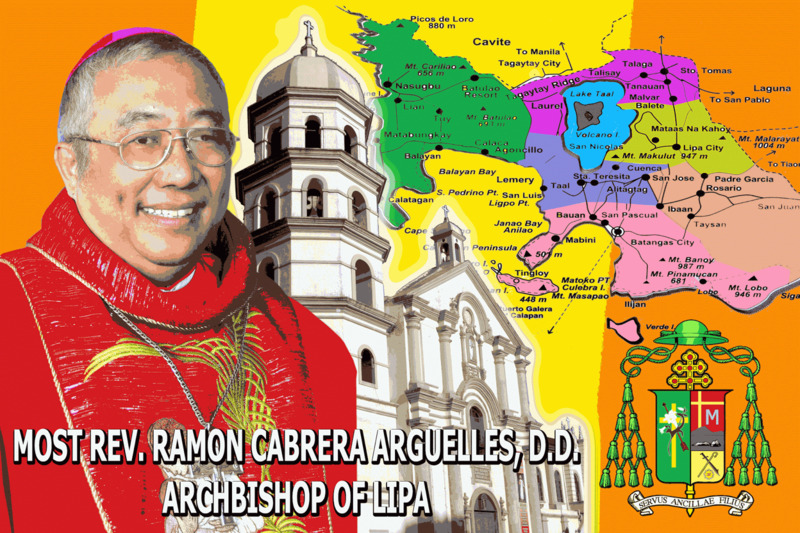 Bishop Bernardino Cortez re-assigned to the Prelature of Infanta. 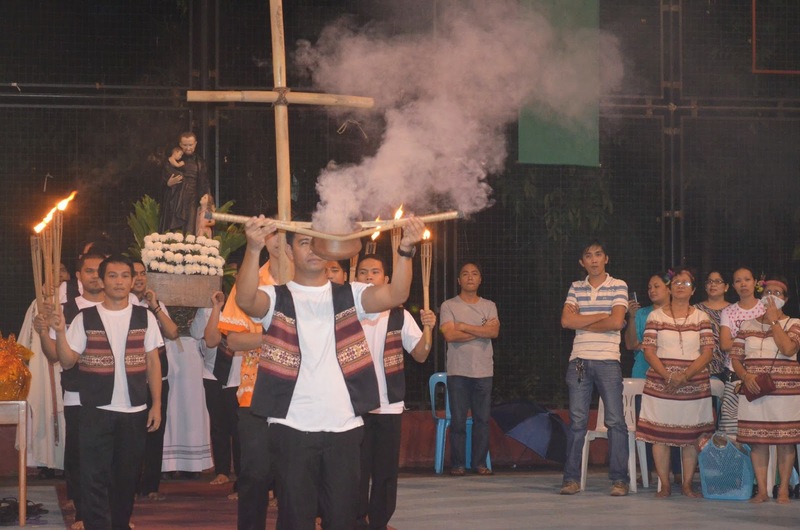 Happened at a Mass for the Franciscan Youth Movement celebrated allegedly by Fr. Rex Cutamora, OFM Cap. What does the Church say about Holy Communion? 160. The priest then takes the paten or ciborium and goes to the communicants, who, as a rule, approach in a procession. The faithful are not permitted to take the consecrated bread or the sacred chalice by themselves and, still less, to hand them from one to another. The norm for reception of Holy Communion in the dioceses of the United States is standing. Communicants should not be denied Holy Communion because they kneel. Rather, such instances should be addressed pastorally, by providing the faithful with proper catechesis on the reasons for this norm. 94. It is not licit for the faithful “to take . . . by themselves . . . and, still less, to hand . 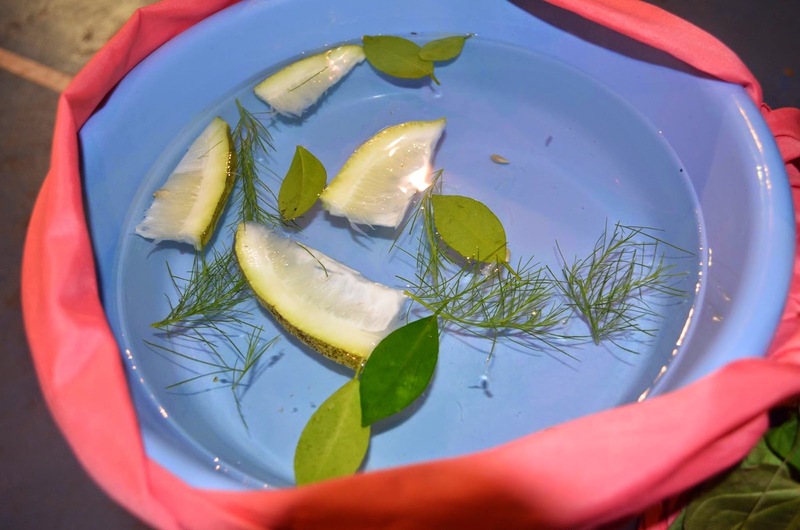 . . from one to another” the sacred host or the sacred chalice. 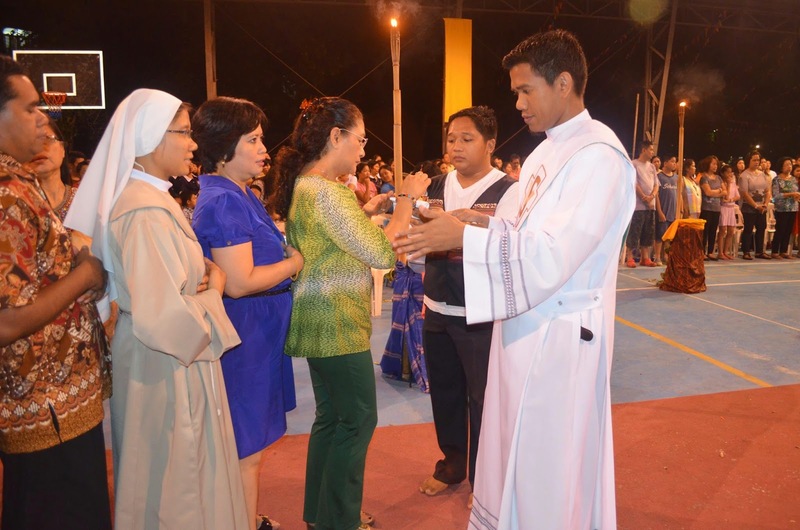 Moreover, in this regard, the abuse is to be set aside whereby spouses administer Holy Communion to each other at a Nuptial Mass. GIRM 85. 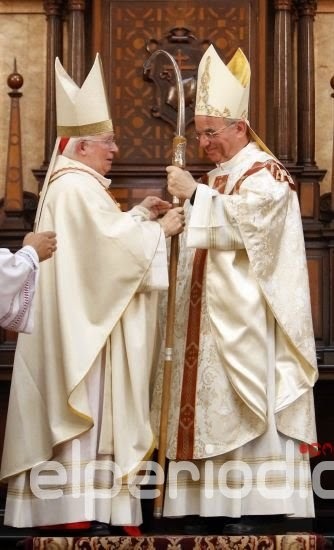 Catholic ministers licitly administer the Sacraments only to the Catholic faithful, who likewise receive them licitly only from Catholic ministers, except for those situations for which provision is made in canon 844 §§2, 3, and 4, and canon 861 §2.166 In addition, the conditions comprising canon 844 §4, from which no dispensation can be given, cannot be separated; thus, it is necessary that all of these conditions be present together. Can. 910 §1 The ordinary minister of holy communion is a Bishop, a priest or a deacon. §2 The extraordinary minister of holy communion is an acolyte, or another of Christ's faithful deputed in accordance with can. 230 §3. 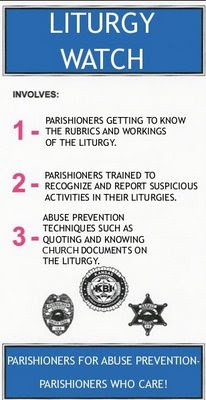 With all these Church legislations stated, we invite Fr. Cutamora to explain his side for distributing Communion in such a manner. Only a humble man asks for forgiveness. Ano ang mali sa picture na ito? SEE WHAT IS WRONG WITH THIS PICTURE? Answer in the COMMENT BOX! Kung ikaw ay kabataan, ma aanggat ba ng sit down Mass ang iyong pananampalataya? A reminder about what real apologetic work is all about. Talking to members of Catholic Faith Defenders (CFD) on Monday, Oct. 13, Fr. Carlos V. Reyes [pictured below] stated the “circumstances of the time that we are living now require a new generation of apologists”. 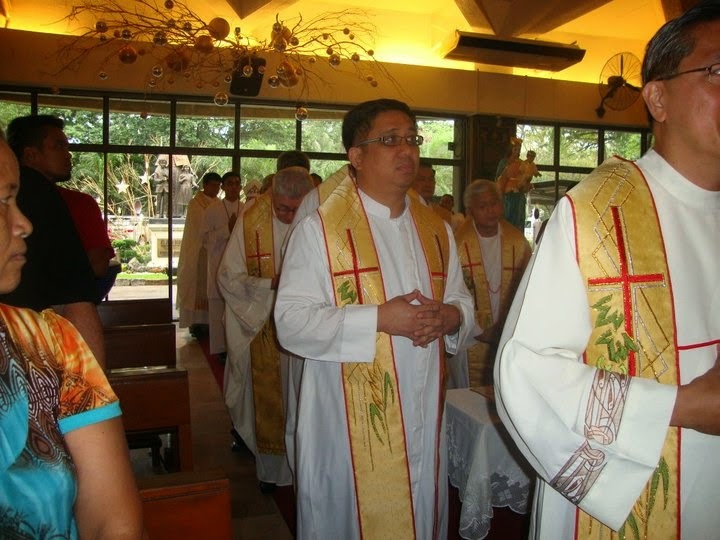 The priest, himself an apologist “committed to the faith and obedient to the Church”, stressed that aspiring faith defenders must know how to exploit new methods and explore different approaches in defense of Catholicism. He added that they must defend the faith in its entirety, something that presupposes acceptance of Vatican II. 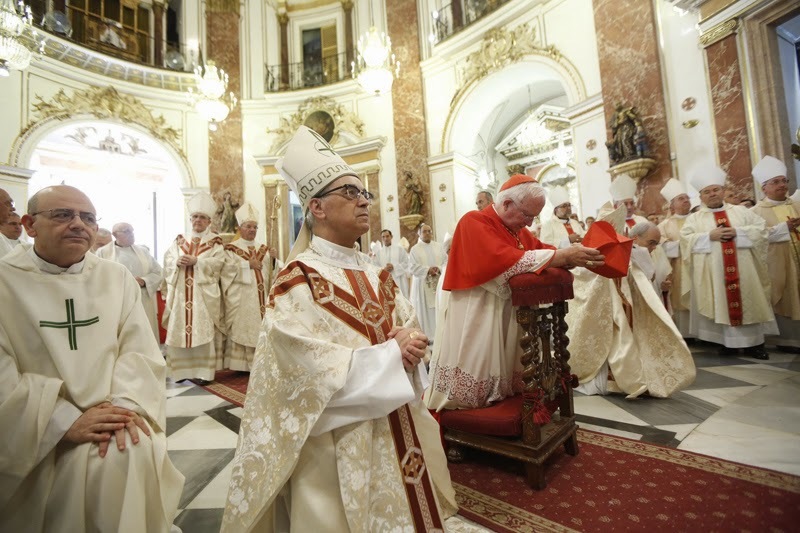 “Apologetics must encompass the whole content of Church Magisterium and the methods proposed by the Church through which that teaching is disseminated and communicated,” he explained. 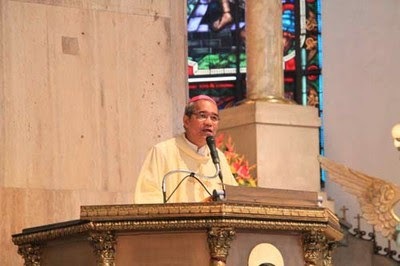 An executive secretary of the Catholic Bishops’ Conference of the Philippines (CBCP)’s Episcopal Commission on Interreligious Dialogue (ECID), Reyes shared these changing times call for apologists who can “uphold and teach Catholic dogmas with charity towards all, who seek Christian unity, and who are in dialogue with persons of various convictions”. He is aware, however, that many Christians, Catholics and Protestants alike, reject interreligious dialogue. “The strongest argument favoring dialogue is the Trinity. God is a Trinity of Persons and is a perpetual dialogue between Father and Son through the Holy Spirit. 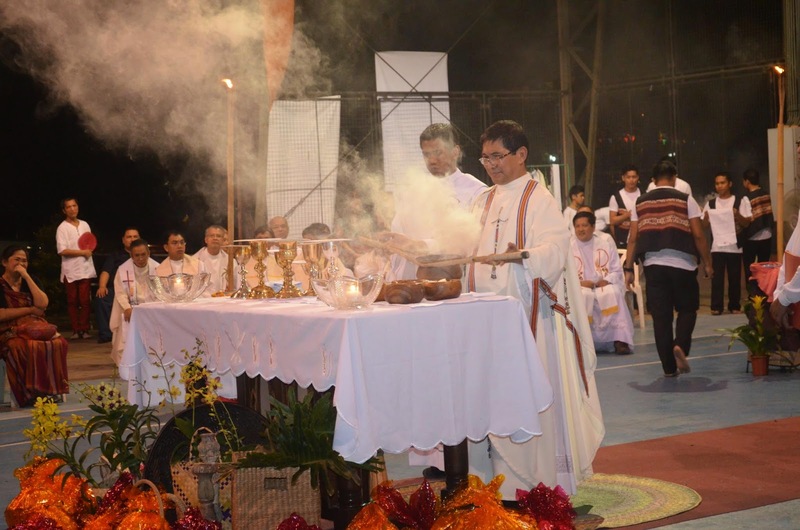 If we were created in God’s image and likeness, then we must be coherent with God’s Trinitarian essence,” Reyes said. “St. Francis did not go into polemics. Saints who were polemical became saints in spite of being polemical and probably not because of it. Saints like Cyril of Alexandria and Jerome for example. Besides, circumstances are different now,” the priest shared. 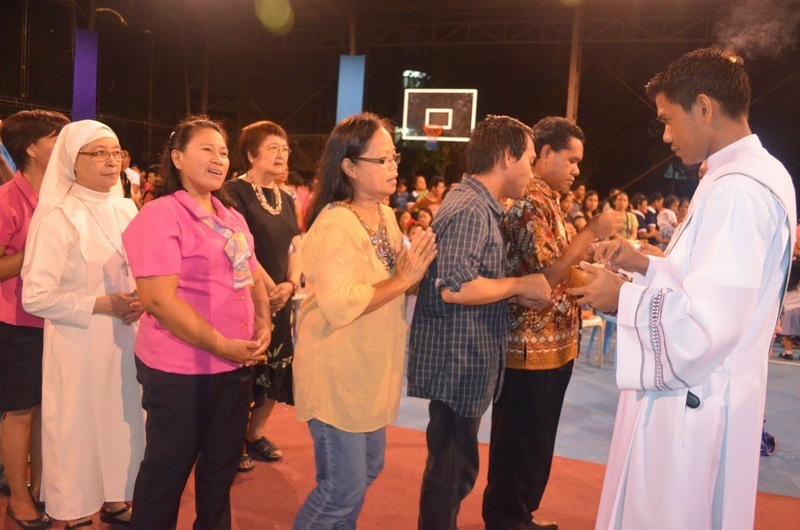 “People are more receptive to difficult teachings be it dogmatic or moral if the priest or bishop has mass appeal,” said Reyes. How can you bring people to believe in what you believe in if you insult and make fun of them? How can you make good Catholics out of people you shame? Apologetics is about defending the Church and bringing the lost sheep back to the one fold. It is not about coming out of a debate victorious or able to get the last word. It is about convincing them of the Truth in Charity. During the time of my convalescence, I was able to reflect upon what caused by serious ailment. And so I resolve myself to not get angry back at my critics and to avoid name calling. And to also shun this away. I'LL STAY AWAY FROM FAT! 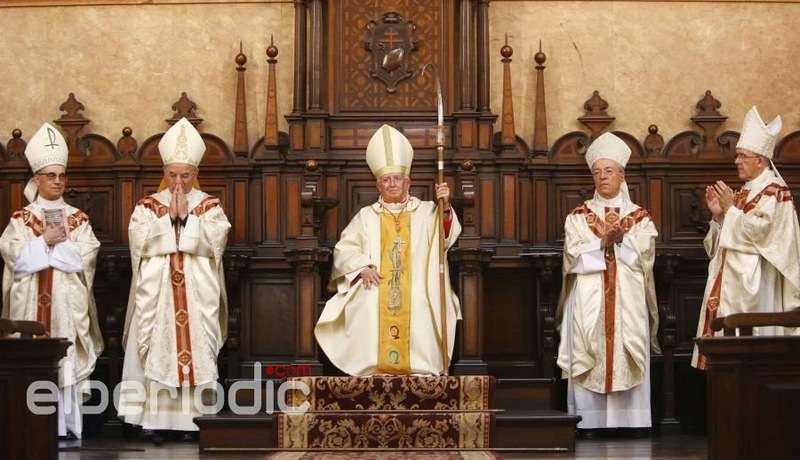 Do you want to know why future priests, priests, old priests, religous brothers, sisters, nuns, lay people do not respect sacred artciles, sacred space, sacred furnishing? 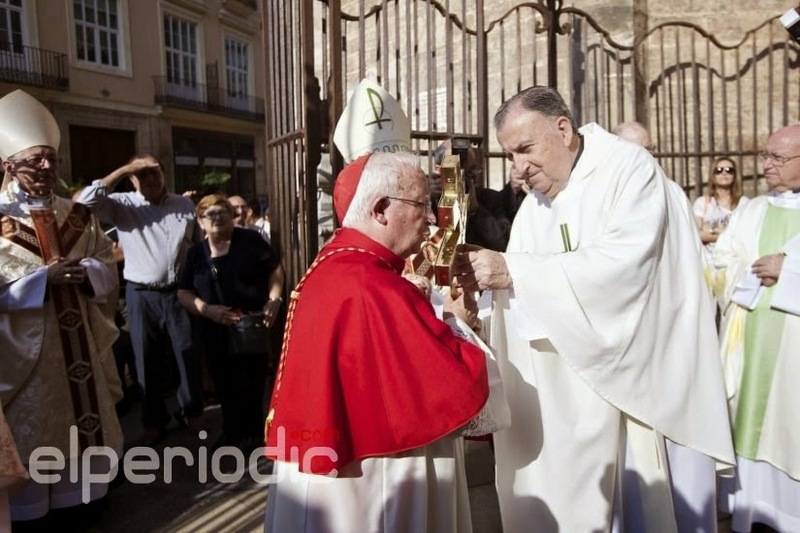 Former Prefect of the Sacred Congregation for Divine Worship, Antonio Cardinal Canizares Llovera was installed as the Archbishop of Valencia, Spain. 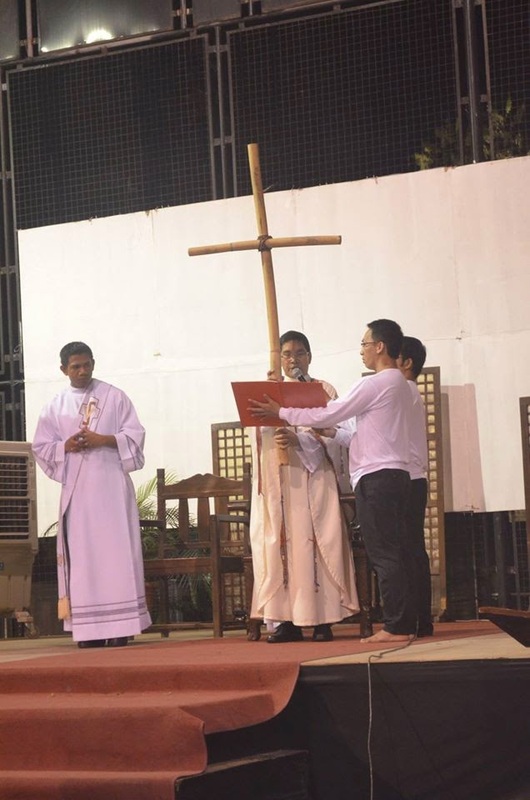 Sana magtuloy-tuloy ang liturgical reform sa Diocese niya. Now look what he has to offer now. In Jaro, province of Iloilo. 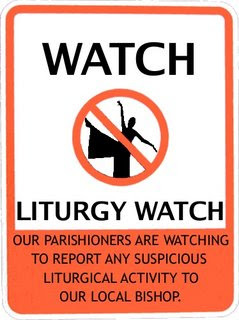 If they can do it, why not your parish? 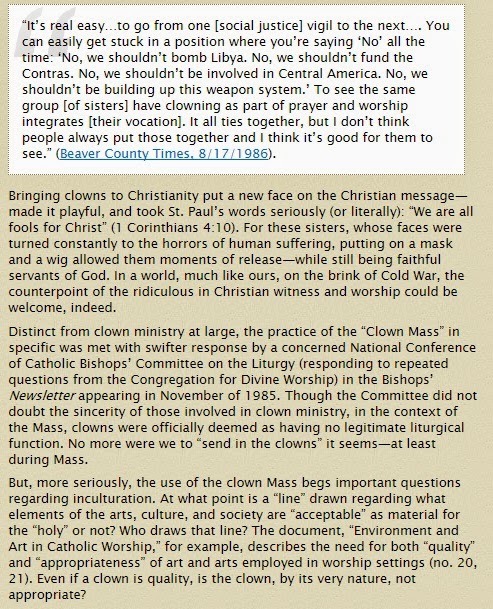 Wag matakot kay D.
There is an online discussion ongoing on the The Legitimate Liturgical Function of Clowns. Ano masasabi niyo mga readers sa larawan na ito? Uunahan ko na kayo: magandang balita yan, hindi nakakasakit ng ulo. May sasakit pala ang ulo, taga Intramuros. Mahal mo ba si Mama Mary? 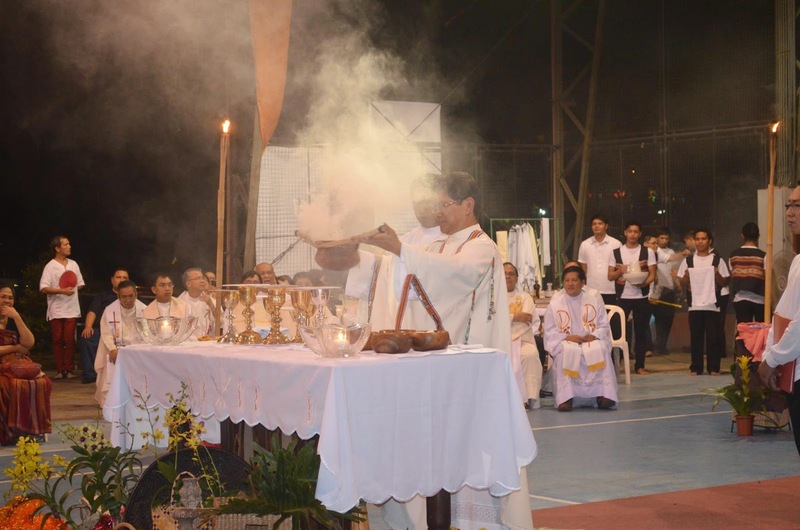 In the Diocese of Novaliches, this LITURGICAL DISSENT continues; ang MISA NG BAYANANG PILIPINO. Jeff Velasco admits that the MBP has not received any recognitio, but at the same time says that it has not been prohibited. Dahil hindi pinagbawal, puede na? LOGIC NAMAN! Ang mga larawan na makikita sa baba ay mula sa pagdiriwang ng SMB sa Saint Vincent School of Theology sa kapistahan ni Sn Vicente Ferrer. Malong??? Nasa kultura ba ng mga tao na nasa larwan na ito ang MALONG? 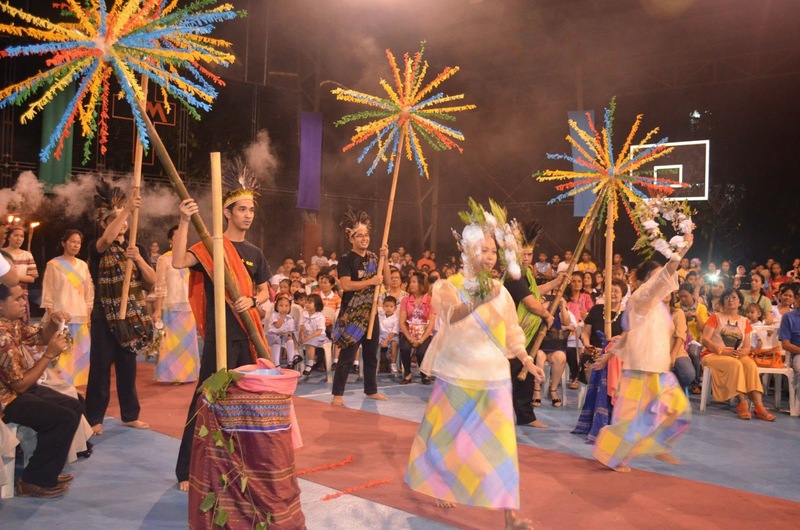 1) Is the malong a Filipino clothing? Some say that it is clothing used in Mindanao. 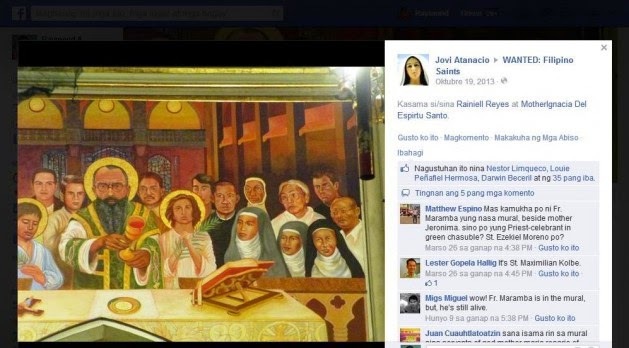 If it were so, why use it in a Mass celebrated in Luzon? 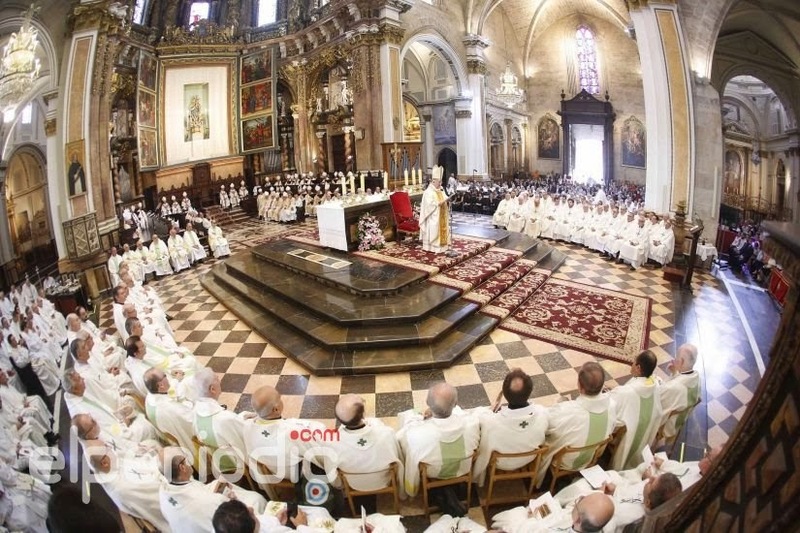 This "inculturation" is not really speaking of the culture of the assembly gathered for that Mass! 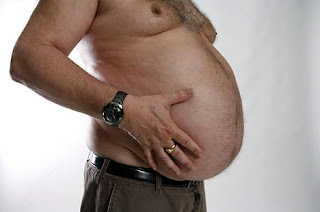 (2) If it is so, is it really worn over shirt and long pants? As far as I know, the men wearing it should drape the cloth around their waists and the women should drape themselves with it so that they can be covered from breast down. 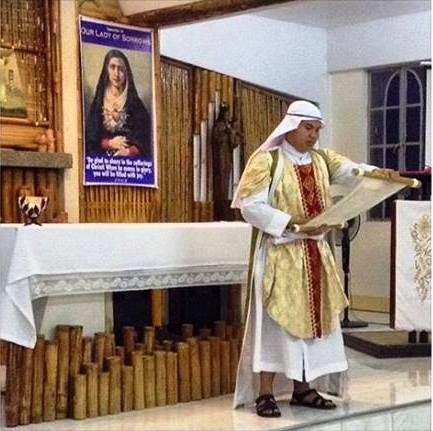 (3) Is the malong appropriate for Christian worship? 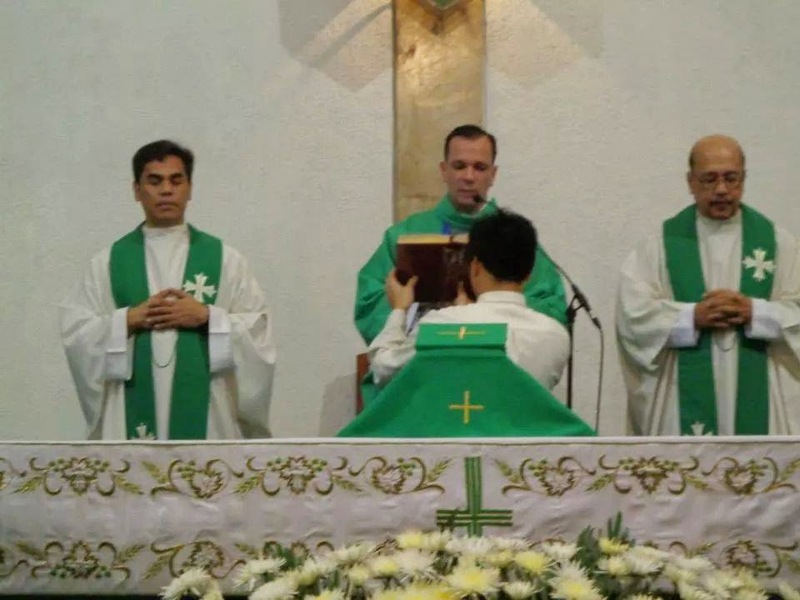 My point is: if ever we want to use local clothing in the liturgy for the sake of inculturation, let us choose the appropriate ones and wear them correctly! Krus na walang Korpus. 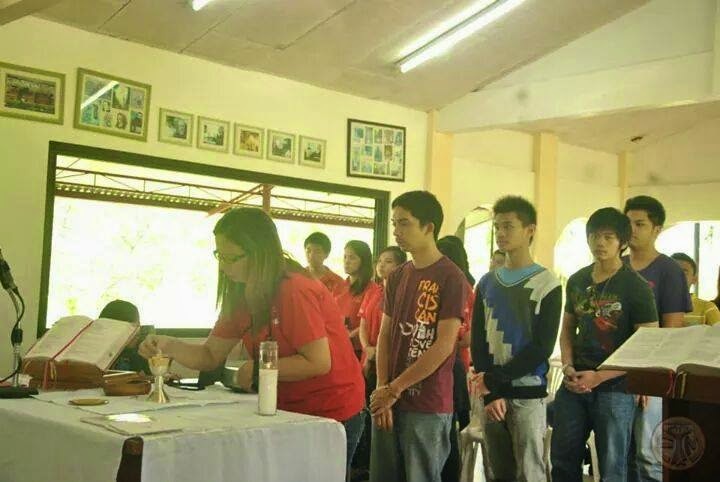 Malalim ang Theology dito. Paghuhugas ng kamay. Kailan naghuhugas ng kamay ang tao? Bago kumain. Kasi MEAL lang naman ang MISA. Nawa ipatigil na ni Bishop Antonio Tobias, D.D. 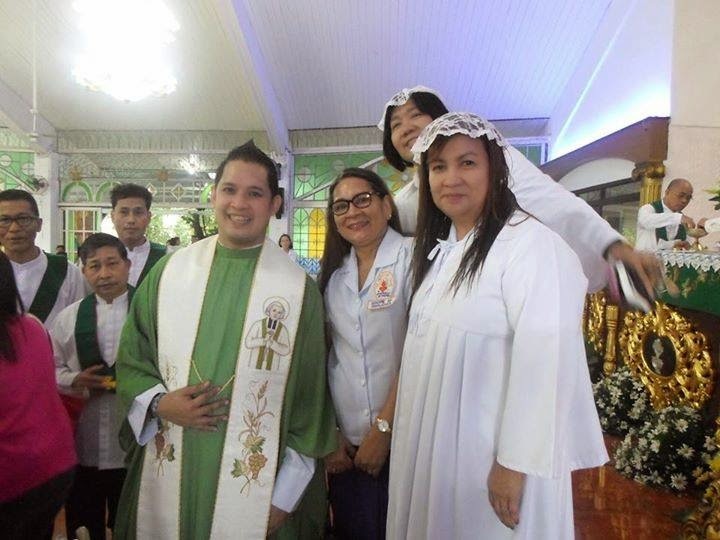 ang kapalastanganan na ito sa loob ng kaniyang Diocese. Pope Saint John Paul II had no problem with Mass facing the Lord. 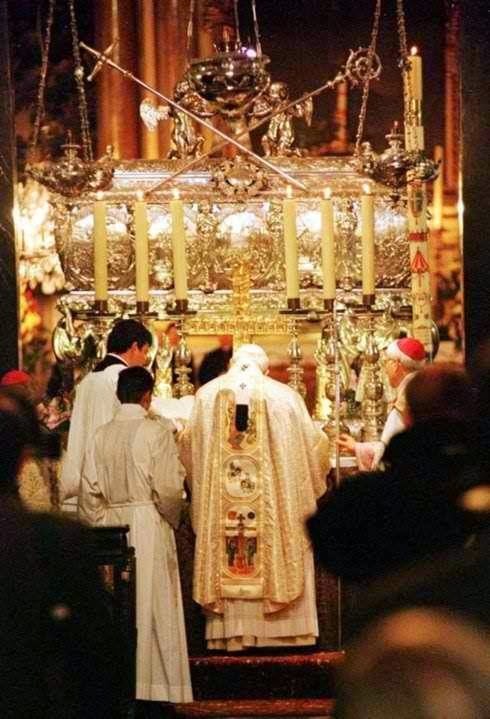 This was at the confession of St. Stanislaus in the Royal Archcathedral Basilica of St. Stanislaus and St. Wenceslaus on Wawel Hill during his pilgrimage to Poland in 1999. 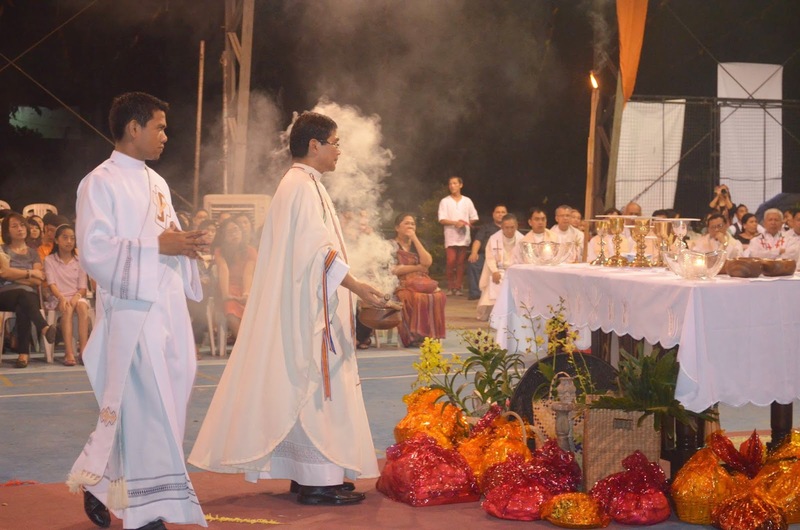 If may problema ang pari sa ad orientem worship, is he greater than the Pope?